Shuttle Express: A Better Private Van Service Experience! Trust Shuttle Express for your private airport transportation. 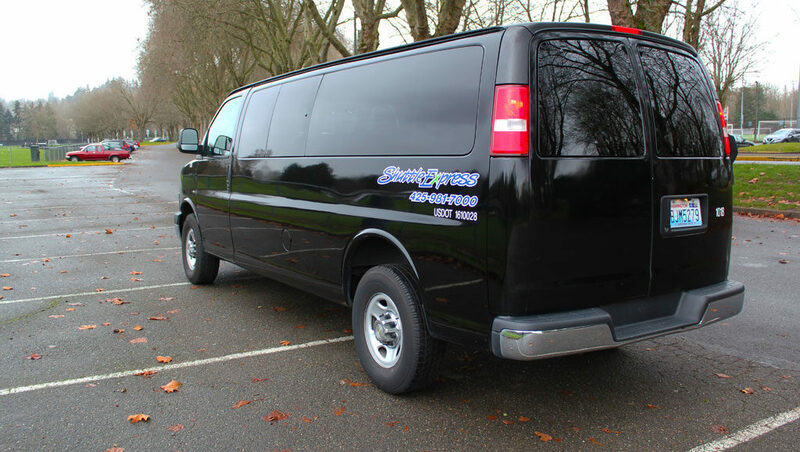 We offer professional, transportation services throughout our service area, including King, Pierce and Snohomish counties. 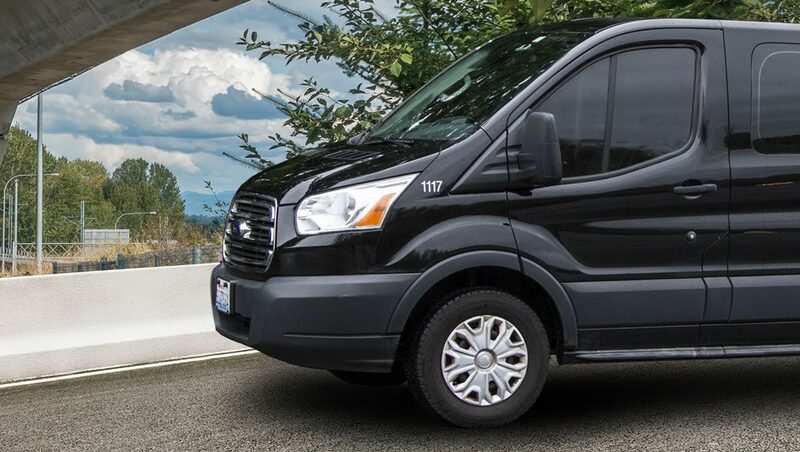 Private van service means the van is booked exclusively for you, so we arrive at your door on your schedule, then we’re on the way to the airport with no other stops. With Shuttle Express, you know your group will be safe and you’ll arrive at the airport on time. When you book your ride to the airport, our dispatching system calculates your pick-up time based on the Transportation Security Administration’s recommendation that you arrive at the airport at least 90 minutes before your flight. But if you’d like a later pick-up time, we will honor your request. NOTE: For all Hawaii-bound trips, please book as an International Flight to ensure you have enough time to make your flight. For trips from the airport, please check in at our Sea-Tac Airport location and we’ll activate your booking. It’s important to book ahead! May through September is peak travel time in Seattle, and our vans and coach buses are in high demand. Weekends are especially busy with cruise ship and airport traffic. Please reserve vehicles and any private service well in advance. Your quoted services are not guaranteed until they are booked and a confirmation number is provided. Our drivers undergo intense safety training. Drivers provide friendly guest service. Van fleet fueled by clean-burning propane. From baggage claim, cross skybridge 4 to the airport parking garage and go to the 3rd floor―we’re in the center of the Ground Transportation Plaza. Check in to activate your walk-up or pre-paid ticket. Our coordinators will check you in between 9:00 a.m. and 1:00 a.m. After 1:00 a.m., check in by using the courtesy phone, which connects you to our Guest Service Center.